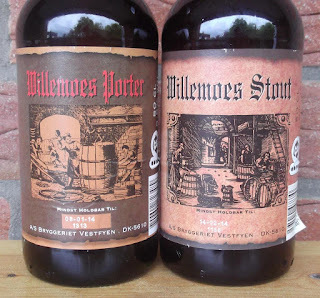 BeerViking: Willemoes: when is a Stout Porter not a Stout? I'd not come across Vestfyen Brewery's Willemoes brand before our recent trip to Denmark, although it turns out I had tried a beer from Vestfyen before, but it was a naff and forgettable Eurolager, Vestfyen Classic. 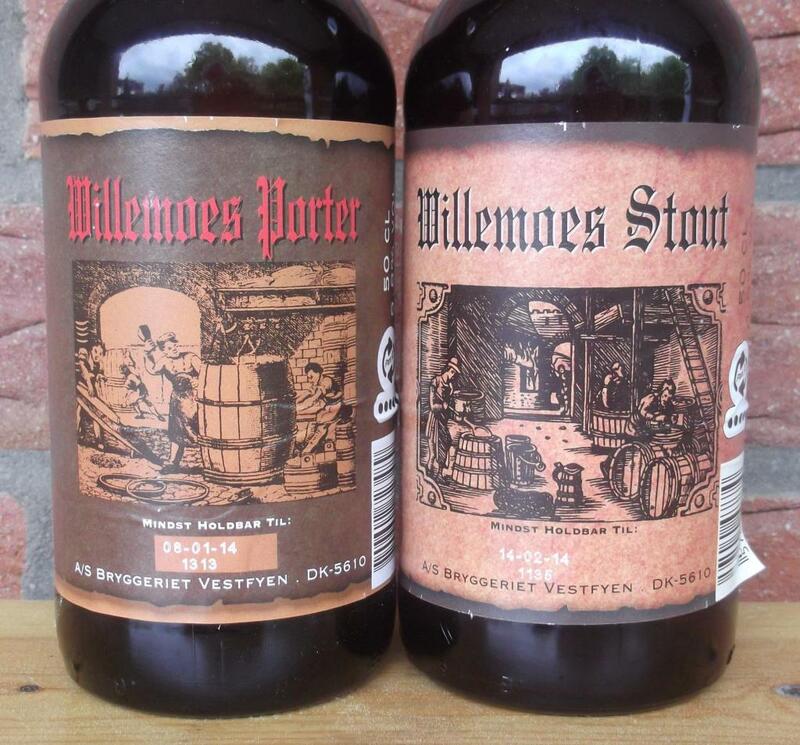 Thankfully, the Willemoes stuff – there's now five regular Willemoes ales, plus seasonals – is a very different (brew)kettle of fish. As well as these two, a 6.5% Stout and a 9.8% Porter, I also picked up a bottle of their very nice 200 år ('200 years'), a rich 6.5% Dunkelbock. All were good, the Porter especially so: it poured a deep red-brown, with a rich treacley nose with touches of chocolate, coffee and tobacco leaf. The body was full and drying and slightly sour, yet balanced with sweet notes. Flavours I picked up included black treacle, burnt prunes, liquorice, and something pleasantly reminiscent of old leather and aged port. The deep black-red Stout was notably lighter bodied, some might even call it a bit thin. It still had a good flavour though, with faint aromas of toasted bread and malt followed by dry fruit and wine notes in the body. It's tempting to look at these two beers though and think that someone on West Funen (Vestfyn) has missed the point. After all, historically "stout" meant "strong" and in beer terms was a contraction of Stout Porter, so shouldn't a brewery's Stout be stronger than its regular Porter? So it would be nice in a way if the beers followed 19th century norms, rather than 21st century. 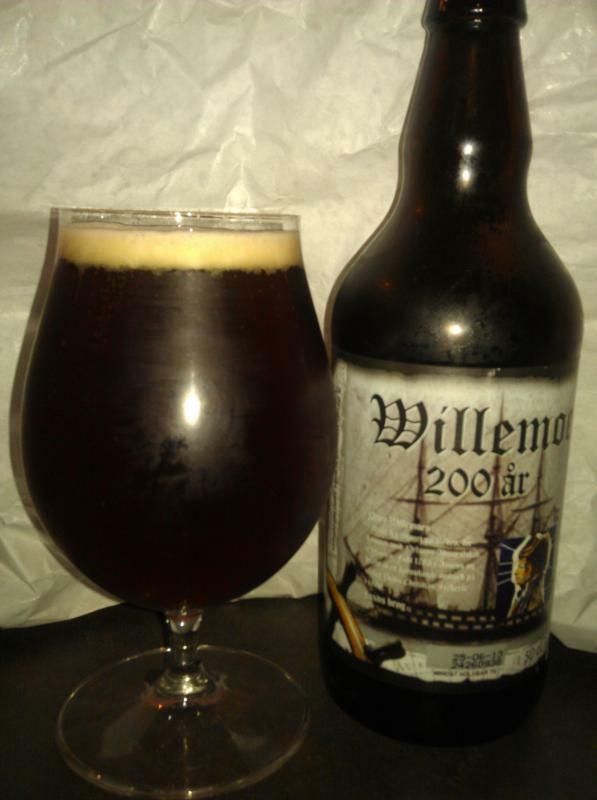 But whatever, Willemoes is a name I will be looking out for in the future.